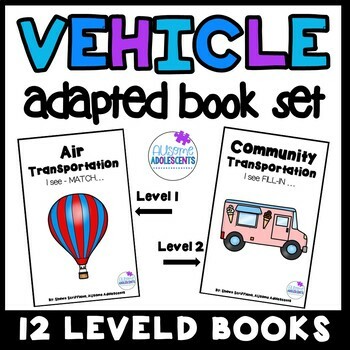 Themed and leveled interactive books perfect for all year round- TRANSPORTATION theme. 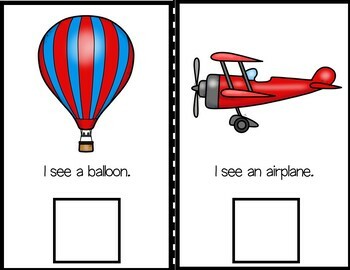 Interactive books are a fun way to build independence while targeting reading comprehension, following directions, and building vocabulary. Perfect for independent work stations or small groups. 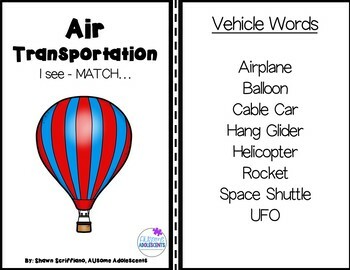 Version 1 (6 books) --> students read the sentence "I see (transportation word)" and match the identical picture or transportation word. 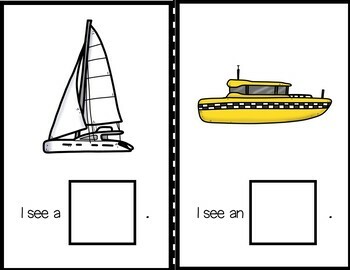 Version 2 (6 books) --> students read the sentence starter "I see..." and fill-in the blank with the identical picture or transportation word. CLICK THE STAR TO FOLLOW ME FOR NEWS ON FREEBIES AND SALES!